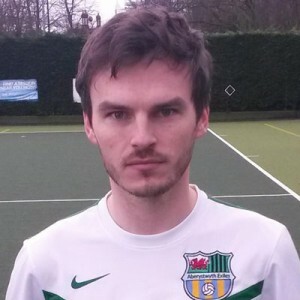 Davies joined the club for the 2013/14 season. Having made a solid start to his career he came alive during the 8-1 victory against Pontprennau Pumas 2nds, scoring a hatrick. He carried this new found confidence into the 2014/15 season and despite injury problems, was a key player scoring some crucial late goals. He narrowly missed out on the Team of the Year for 2014/15.